Thiess, a wholly owned subsidiary of Leighton Holdings, has received a $1bn mining contract from OZ Minerals to extend mining operations at its Prominent Hill Copper and Gold Mine in South Australia. The firm, which will undertake mining operations for OZ Minerals until 2018, has already started the planning, training and implementation of the ramp-up which requires a substantial expansion of Thiess’ existing operation, peaking at five fleets of large mining equipment. Thiess managing director, Bruce Munro, said he is very pleased with the outcome for both OZ Minerals and Thiess. Mr Munro, said: "This contract is recognition of Thiess’ strong partnership with OZ Minerals, a relationship built since 2006 when Thiess undertook the construction of infrastructure and then the mining for the greenfield operation at Prominent Hill." Thiess’ Australian Mining executive general manager, Michael Wright, added that the expansion requires Thiess to employ an additional 170 people over coming months, with the total open pit mining workforce expected to peak at 550 people. Mr Wright, said: "We have been very successful with our operations at Prominent Hill, with a strong focus placed on employing and training local people, and on ensuring we have a diverse workforce with a strong culture." 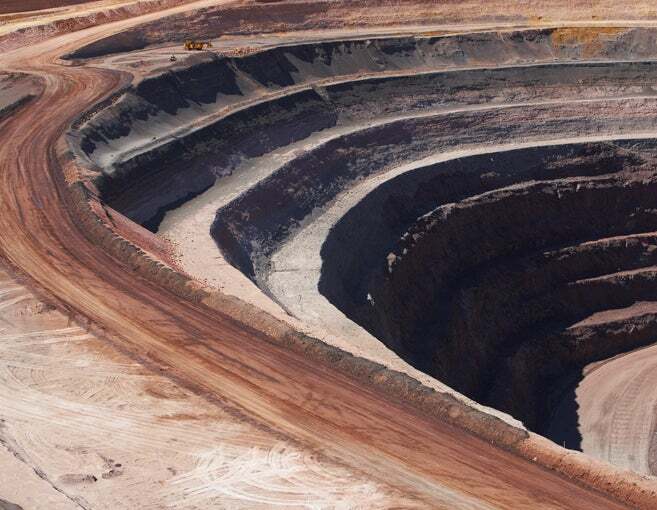 Image: Prominent Hill is an open pit mine with a new underground mine, currently under development. Photo: Courtesy of OZ Minerals.